Irresistibly adorable ! 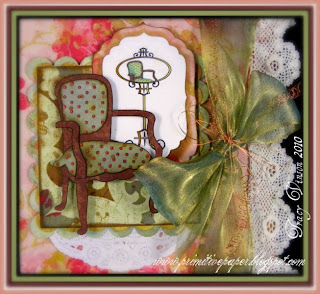 This stunning creation by our DT Member - Tracy Vinson of Primitive Paper is a absolute eye-candy for those who adore Vintage Chic this season ! Grab this Vintage Chic Elements set now ! This is so fabulous! I love this set and I absolutely LOVE what Tracy has done with it. Simply AMAZING!